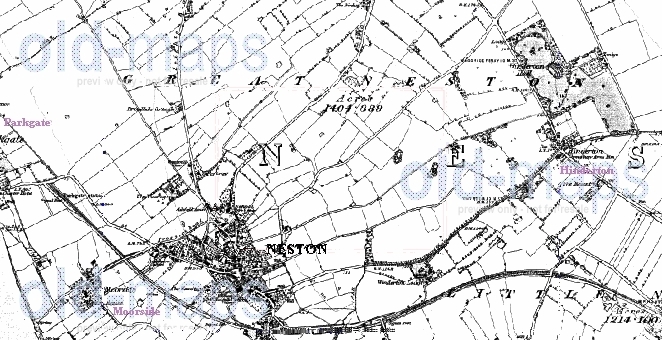 NESTON Neston, has like most places on the Wirral had a metamorphic name change being Nestone in the Doomsday Book (1086), from the Norse Nes-tun loosely meaning high land overlooking water (R Dee) at that time owned by a William Fitznigel. 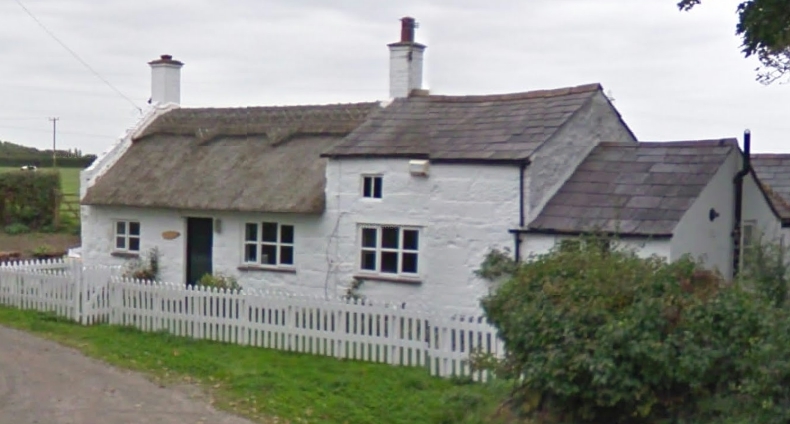 It consisted of four units, Greater Neston ( inc Clayhill, Hinderton, Moorside, and a bit of Parkgate), Leighton, Thornton Hough and Raby villages, Willaston and Ledsham, Ness and Little Ness. As the years have passed, some of these places have managed to remain unspoilt as the big towns gobbled up the smaller outlying villages. 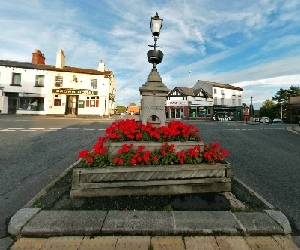 Neston market has been around for quite a while being granted a royal charter in 1728, there is also the obligatory village center church standing on a site used since before the Norman invasion of 1066, a village cross, and a collection of viking stones discovered in the foundations of the church. There are also a lot of old large houses and other buildings as yet left standing from what I've seen of the town center, the locals seem to appreciate what they have and are holding on to them. 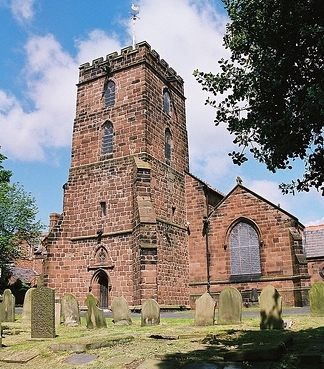 The church of St Mary and St Helen (the website of which proclaims "Serving God and the Community since before Doomsday" but tells nothing of the history of the place) has been in situ for a very long time and consequently probably looks nothing like the originals, current one dating back to 1875 rebuilt by Francis Doyle the church structure having become unstable due to some galleries being added, and the foundation walls had become structurally unsound due to the digging of the burial vaults underground. 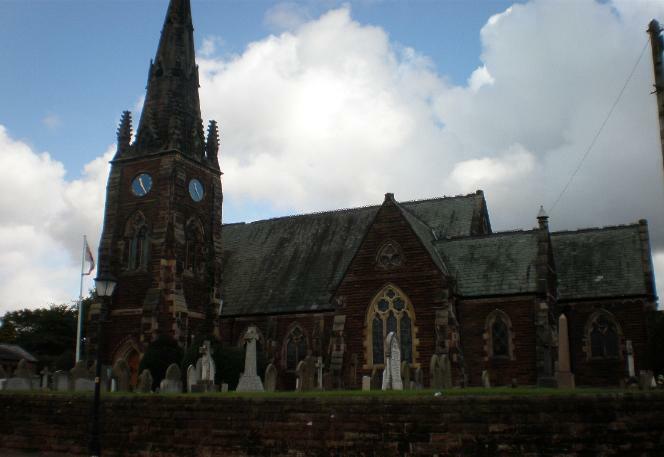 The church as a fine peel of eight bells; four dating from 1731 and the remaining four cast in 1874. In amongst the tombstones is that of John Hancock of Ledsham, who died 4th Dec 1775 aged 112 years. The same stone records the death of his son, also called John, who died on the 5th August 1781 aged 70 years. The old mans wife in another part of the churchyard mentions her death in 1799 aged 73 years, making her some 63 years younger than her husband.In another part of the churchyard are the graves of a farmer and his wife of the name of Broughton, aged 106 & 100 years must be something in the air. 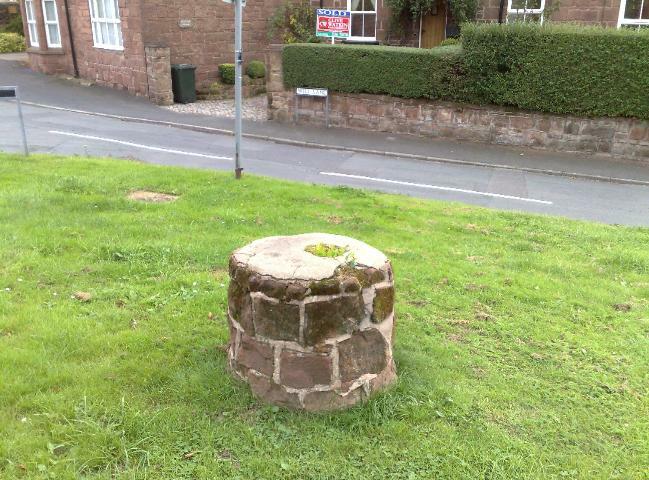 The Neston well (age is unknown) was hand dug and lined with stone it is aptly situated in Well Lane. 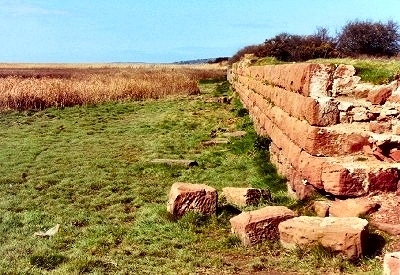 Neston old quay situated about a mile or so from the town was a busy departure point for travellers to Ireland on the packet steamers before the Dee silted up and operations transferred down the coast to Parkgate early in the 1800's.The old quay is still very much visible and perhaps in this era of "global warming" may one day in the not too distant future, have the sea pounding at its sandstone walls yet again. 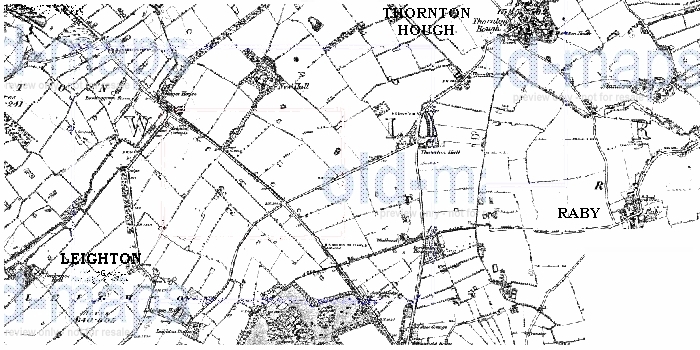 THORNTON HOUGH Another village mentioned in the Doomsday Book under the Norse name of Torintone The name of Thornton Hough was being bestowed upon the place when local landowners daughter got hitched to Richard de Hogue. 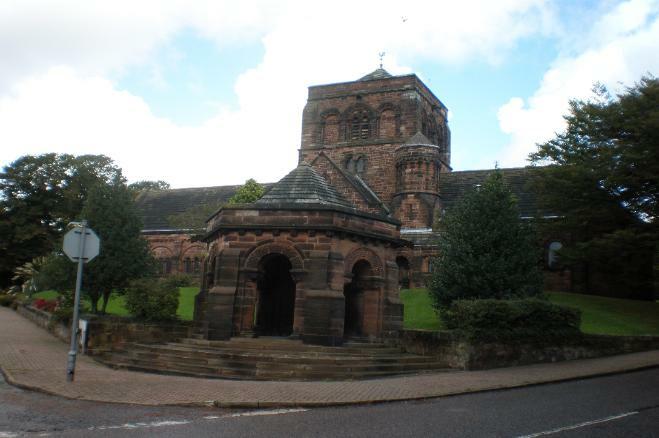 By the 1800's it was part of the great Neston Estate owned by Baron Mostyn of Mostyn in Flint. The village inhabitants were mostly from farming stock, the land described as rocky and bleak by William Mortimer in 1847 vis "The village is built on a slight elevation, the only street of which is cut through solid sandstone, presenting a very unpleasant appearance, and though it posses a few tolerably good houses, the greater portion are of a very inferior description". In 1849 a good part of the Mostyn Parkgate estate land was sold in lots, the buyer of the Thorton piece being a Charles Potts from Chester the area was mainly fields,woodland and a lake. 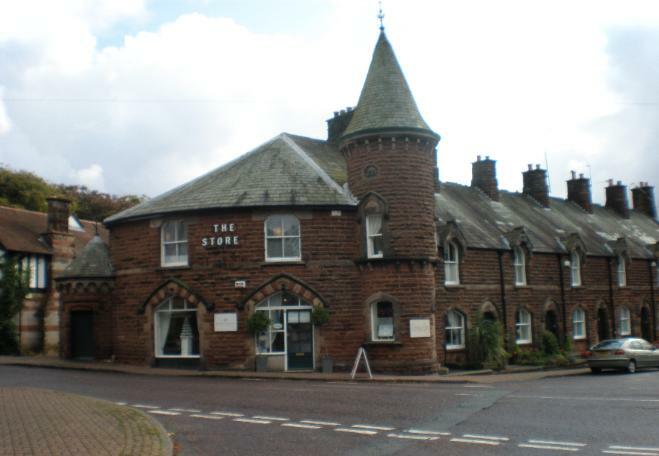 This is where Potts (it is thought) built Thornton Manor its first mention was a tenancy agreement in 1859 and as there was nothing to show that Potts actually lived in the manor the assumption is that it was just an investment for later years. Its a grade II listed building and has had only 6 owners, two of which were to have a great influence on the renovation of the manor and grounds. In March 1863 Potts sold the house and surrounding land, which by now was occupied by gardens, to Thomas Brittain Forwood, whose family was the first to live at the manor. Forwood died in 1884 and his son Sir William Forwood – a former Mayor Liverpool and chairman for the Overhead Railway Company – let the manor to William Lever in 1888 before eventually selling it to him in 1893. During 1888 William Hesketh Lever, later the first Viscount Leverhulme began construction of his factory of Port Sunlight and in that year he, his wife Elizabeth Ellen and son William Hulme Lever moved into the house. The textile owner also built the vicarage and a school bringing his architects and masons over from Huddersfield to do the work, the picture of the terraced houses are on a street named after his home town Wilshaw. 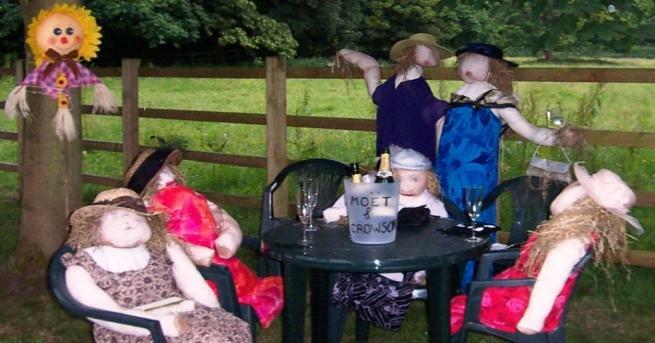 One of Thornton Hough most well known event is the scarecrow festival which takes place annually in the village and draws crowds from around the North West. The Thornton Hough Scarecrow Festival was first held in 1999 and has been an annual event ever since. One last interesting feature of the district is the series of 'Lever causeways' running originally from the manor house towards Port Sunlight, these tree lined roads were built by one of the Lord Leverhulmes to allegedly allow him to journey to his seat of power without at that time travelling through various villages and hamlets. The old Lord would not be too amused these days as the M53 has cut accross the roads and he might have trouble with the horses. 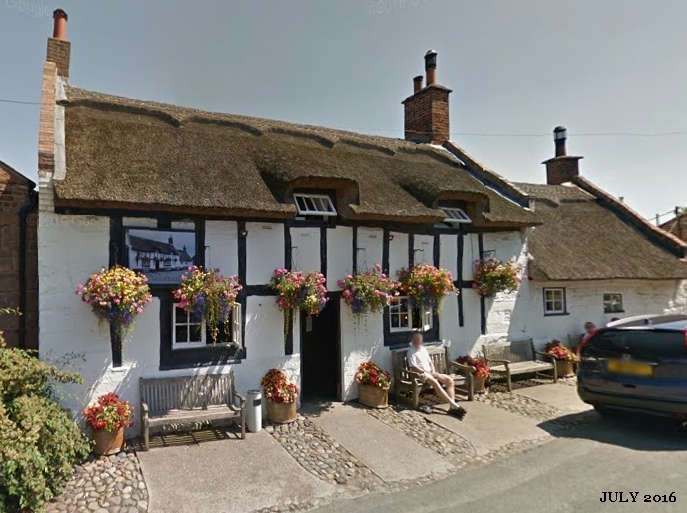 RABY Another village mentioned in the Doomsday Book under the Norse or viking name of Ra-byr so called because it means boundary and the village was the check-point charlie if you like between the Viking settlements to the north and the Saxon lands to the south. Not a big place the land surrounding it owned mostly by the Leverhulme estate which as an aside also own the local pub a nice looking thatched building with plenty of local character but I wouldn't place your hopes on getting a pint of best cheaply if you want to soak in the atmosphere. 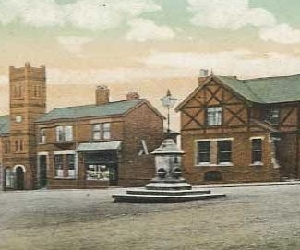 Roundabout the village the houses are mainly sandstone or stone some with thatched roofs, they are very picuresque one being the old mill which at one time ground the grains using a water driven millstone not a common power source on the Wirral windmills being far more prevalent. 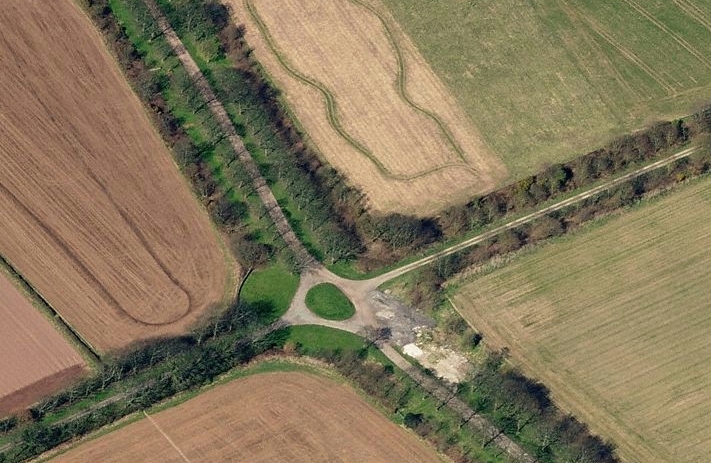 Raby Mere is the large lake beside the road between Raby and, on the other side of the M53 Raby Mere, and its presence was most likely the reason for the siting of the original village. 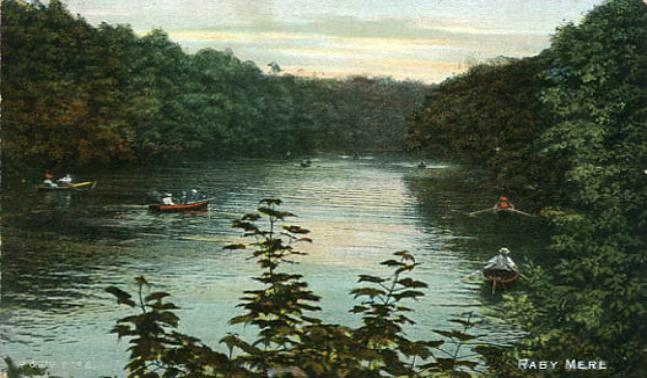 The mere was very poular with the Victorians who would hire rowing boats or ride on one of the pleasure boats. Rowing boats were a common site in the early 1900's, a practise which has all but died out on todays mere, and in hard winters there would be enough thickness of ice to allow skating to be done. The lake is also the site of the old water mill in later years the house being used as tea rooms to serve up refreshments to the many visitors. 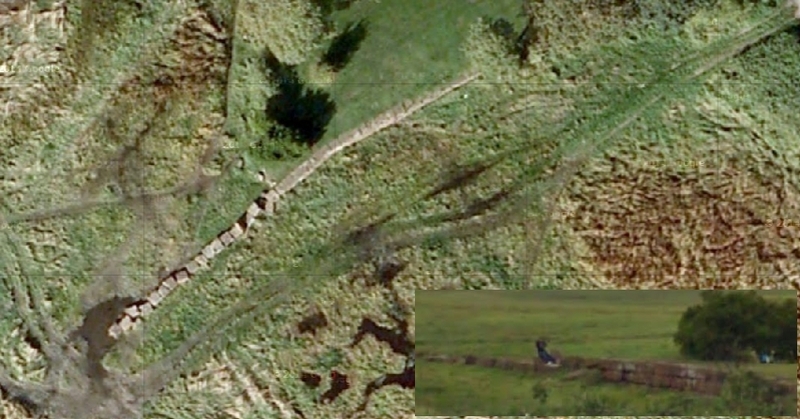 The Bromborough golf course fills the rest of outlying Raby during the construction of which a lot of old and fair to say delapidated buildings were demolished to allow Ray and Angie to go and knock in a few holes in one.